While Crystal has been planning for expansion in the air, on the rivers and on the oceans, their two classic ships remain as popular as ever. In the next two years the line will update them to please their legions of fans. Crystal is calling the redesigns “Evolution of Crystal Luxury.” The dry docks for Crystal Symphony and Crystal Serenity will take place in 2017 and 2018 respectively. Nassau continues to be a dangerous port for passengers. A minibus driver was shot and killed Thursday morning about 7am at East Street North near Prince George Wharf, an area usually busy with tourists and cruise ship passengers. The minibus was from Stuart Cove's so the driver was presumably going to pick up passengers from the arriving cruise ships. The complete story appeared in the April 21 edition of Cruise News Daily. 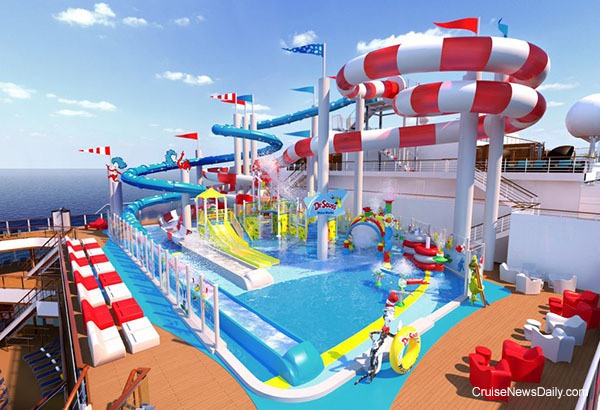 A favorite feature of many kids on Carnival ships is the top deck water park, Carnival Waterworks. When Carnival Horizon debuts next spring, it will have a Waterworks like no other, unless you happen to know of another one inspired by the writings of a doctor who hangs with a cat in an extra tall striped stovepipe hat. Carnival announced today that Carnival Horizon will be the first ship with a Dr. Seuss Waterworks. 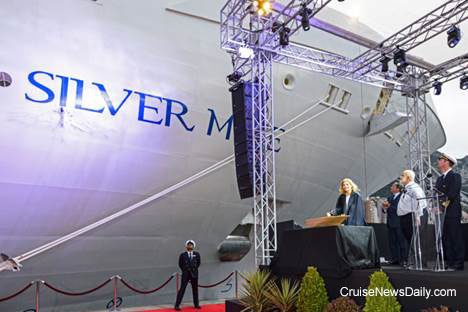 Silversea's ninth ship, Silver Muse, was christened yesterday at Monaco in the presence of His Serene Highness Prince Albert II, by Costanza Lefebvre, the daughter of Silversea chairman Manfredi Lefebvre d'Ovidio. Details appeared in the April 20 edition of Cruise News Daily. Norwegian Cruise Line is joining the movement to add certified lifeguards to their ships, following Disney and Royal Caribbean International. They will start appearing on the line's four largest ships (Norwegian Escape, Norwegian Getaway, Norwegian Breakaway and Norwegian Epic) “this summer” (no specific dates given), and they will be fleetwide by early next year. The lifeguards will be trained and certified by the American Red Cross and staff the family pools during scheduled pool hours. During the early morning hours today a male passenger went overboard from Norwegian Escape as it sailed between St. Thomas and Tortola. This was sentencing day in federal court for Princess Cruises in the case of the 2013 incident in which they were found guilty of illegally dumping overboard contaminated waste and falsifying logs to conceal it. They were ordered to pay a $40 million fine, the largest ever for deliberately polluting. The conviction was only for the one 2013 incident aboard Caribbean Princes but evidence later uncovered the practice had actually been going on since 2005. The investigation also found other illegal polluting practices were ongoing on five ships: Caribbean Princess, Star Princess, Grand Princess, Coral Princess and Golden Princess. Fincantieri said today Viking Ocean Cruises has signed a memorandum of agreement for two more ships with an option for two additional ships. Sushi is popular with Carnival passengers, as seen with the success of the Bonsai Sushi restaurants on Carnival Breeze, Carnival Dream, Carnival Legend, Carnival Pride, Carnival Sunshine and Carnival Vista. Now Carnival is extending the opportunity for sushi to four more ships with limited pop-up sushi restaurants. Ketchikan had 489 cruise calls during their five-month cruise season last year, and later this week the city council will consider upgrading their docks so that they work better with the newer, larger ships which are beginning to appear in Alaska. Does This Mean the Watches Run Really Fast? 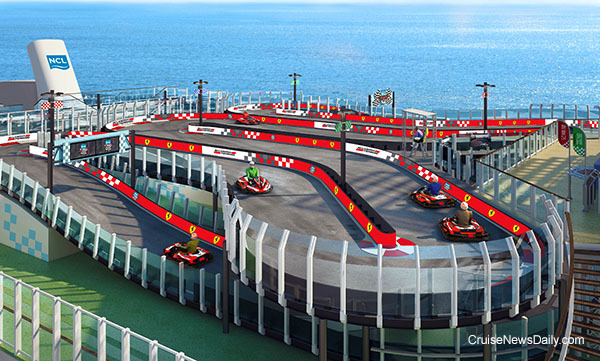 Norwegian Cruise Line today announced that one of the unique features of Norwegian Joy, the go-cart race track, will be branded with Scuderia Ferrari Watches. If you read between the lines in the announcement, they also told us a couple more things without really telling us. Rendering courtesy of Norwegian Cruise Line. All rights reserved. May not be copied or used without permission.